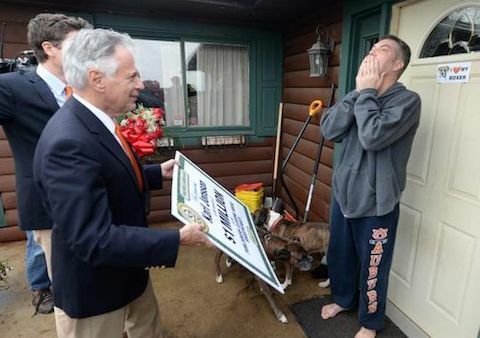 With his teenage daughter watching though a window, Jonsson stood in bare feet on the front sidewalk surrounded by news cameras and the Prize Patrol staff. … but they left out the most important part. Above those bare feet, and below the hands clasped to his face in disbelief: A pair of Auburn sweatpants. “I’m going to Tampa!” he (should have) shouted.